Have you heard about Droid Incredible ? The High Tech Computer Corporation or HTC, as it is popularly known as, has its own parameters to get going in the mobile world. The company it seems is never worried about what others are doing because it knows that it is a class apart. However, it does not mean that the mobile giant just lays back and cools its heels while others are roughing it out in the competition market. From time to time, HTC has come up with phones, which have broken the barriers of mediocrity and set the bars for excellence. One newly launched model from its android lineup has further pushed the boundary. The all-new ‘Droid Incredible’ is here and all set to take the market by storm. The eight-megapixel camera allows you to take stunningly sharp pictures and instantly send them to almost 8,000 contacts in your friend list. It also displays in built editing features. You can also post it on Facebook, Picasa or Flicker or zip them to your friends. With the help of the application called ‘friend stream’, you will get to know the latest updates of twitter and Facebook without actually logging in on them. The android operating system combined with HTC sense makes it easy to access thousands of applications and games available in the Android market. Android market is a software store developed online by Google. The store allows you to select and download various applications created by third party developers and use them. These include widgets, applications, and games. There are around over two lacks of such applications available in the market. Quietly brilliant, (as the HTC tagline puts it) the Droid Incredible carries on the tradition of excellence and sophisticated technology that have always carved the silhouettes for the HTC phones. If you want to know more about android, you can check Everything You Need To Know About Android which covered all versions of android 2 series. About the author: Kate is a blogger by profession. She loves cooking and reading. She is fond of gadgets and recently added a sony ericsson android to her gadget collection. 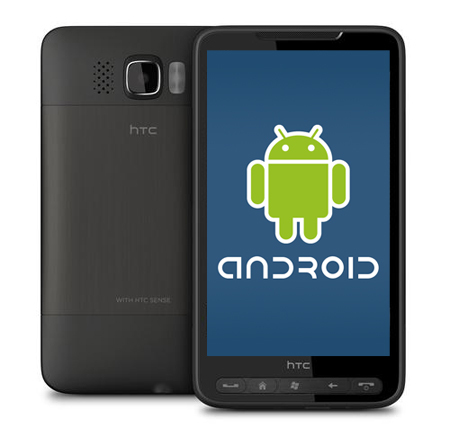 Hope you all liked this Android Now In HTC Phones As Well – Droid Incredible post. I can only assume this article has been dug up and recycled from somewhere, because it is terribly outdated. Let me please enlighten you of all the shortcomings of this article. a) The picture you’ve shown isn’t even of a Droid Incredible. In fact it’s not even an Android phone as you can tell by the buttons running along the bottom. The middle button is a Windows button and Androids only have four buttons across the button, occasionally with an optical trackball. This is some variety of Windows Mobile 6 phone, so it isn’t even the latest Windows phones either. b) The Droid Incredible was released in the USA in April 2010, making your article laughably out of date. c) Whilst the Droid Incredible was originally released with Eclair, it now runs Gingerbread. Considering Eclair was launched way back in October 2009, and since then we have had the release of Froyo (May 2010), and Gingerbread (December 2010) for mobile phones (I’m not counting Honeycomb since it’s not designed for a phone like the Droid Incredible) to describe a “new” phone as having Eclair should be regarded as a criticism rather than a feature. This article looks like someone couldn’t be bothered writing something new, found an article of a phone now almost 18 months old and hoped no one would notice. The information at the bottom of the article about the author named Kate, even though the article has been posted by Satish, only emphasizes this. This article lowers the whole quality of the website and should be removed immediately! I know its a old article. But even though i posted because, i will post any article which shares some knowledge in it. I think there is a better way to delete the article now. I will make sure that from now i will keep updated information. So you knew it was an old article and still decided to post it? Welldone!